The latest episode of the Pokemon Sun and Moon anime was something else! 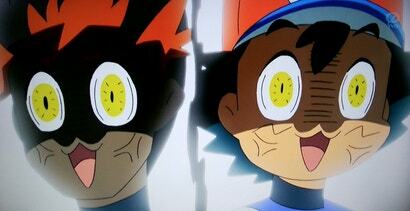 It featured a couple of different goofy expressions, one of which looked straight out of Pop Team Epic. 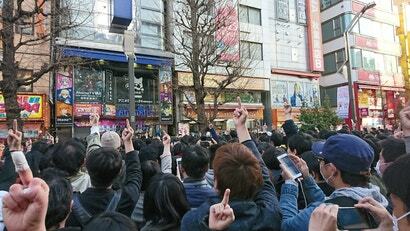 People in Japan have long known what flipping the bird means. 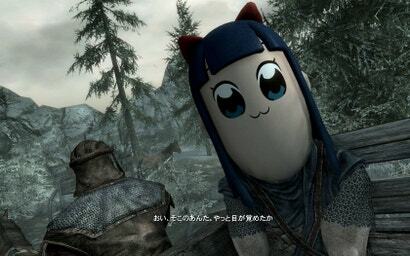 But recently, it's become more prevalent, among Pop Team Epic fans. 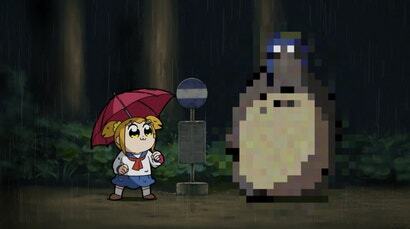 A nail-studded bat smashes a TV showing glitched-out anime in the opening of every episode of the new, surreal anime Pop Team Epic. The show tells you straight-up what it's about: Burning anime tropes to the ground. And in the process of destroying everything anime fans know and love, it manages to become something wholly fresh. 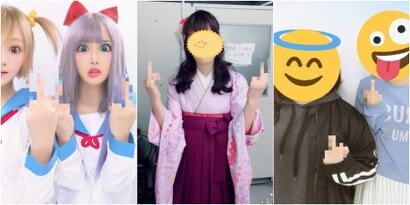 If these were any other anime fans, sticking their middle fingers in their air would be considered rude. But these are Pop Team Epic anime fans, so this seems about right. 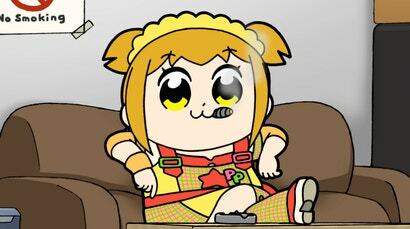 Even though it's only one episode in, this season's breakout anime looks like it could be Pop Team Epic.